I’m sad to see the Microsoft Exchange Conference (MEC) fall by the wayside once again, after just two events following its relaunch in September 2012. The MEC organizers ran two very good conferences and managed to satisfy the demands of the Exchange community with a well-balanced mixture of both Microsoft and independent content delivered with humor and passion. But MEC is no more and the hashtag #IamMEC is replaced by #MECisgone. Such is life. Much as I loathe the notion of attending an uber-conference with all its attendant pressure for hotels, spaces in session rooms, seats for meals, long queues at registration, problems with stressed Wi-Fi networks, and a crowded tradeshow, I see advantages for both attendees and Microsoft in the new approach. The advantages for Microsoft are more obvious. Instead of splitting their resources across six conferences, they focus on just one. I assume that the budgets for most Microsoft conferences are cost-neutral as attendee fees match the costs of each event, so running one large conference instead of five or six smaller events shouldn’t make much difference there. The fact that Microsoft won’t have to ship engineers, marketing people, and other staff from conference to conference during the year should result in big savings. For instance, it was silly to have MEC and TechEd run in Austin and Houston within six weeks of each other in April and May. Time is the most precious resource, after all, and this decision should free thousands of weeks of people time for more productive activities. Like improving product quality, creating new features, or better communication with customers. And because it is a single conference, it should be possible to ensure that the best speakers with the deepest technical knowledge are available. You’ll notice that I don’t include Office 365 in the list. This is because the Office 365 services (Exchange Online etc.) can be addressed in the “base” technology tracks. 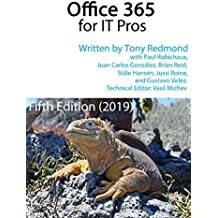 In reality, outside of the services, the remaining stuff that you might discuss about Office 365 are licensing details and other mundane stuff that really doesn’t light up a conference agenda. Coordinating so many tracks (which could be then represented by multiple subsidiary tracks) in a coherent agenda that allocates the right rooms to the right speakers at the right time is a difficult task. After all, you don’t want a session covering an arcane (but important) detail of a product to be delivered by a barely coherent speaker to an audience of two in a large conference hall when people cannot get into other more popular sessions. I imagine that some sessions from popular speakers will need to be repeated as well, which increases the scheduling complexity. Although some will look for dedicated content, others will like the fact that a single conference provides coverage of the complete Microsoft enterprise technology stack. It should be possible to cherry pick great content across the complete spectrum to update yourself for different tasks, such as planning the migration of an infrastructure to Windows 2012 R2 complete with upgrades for all of the applications, monitoring framework, third party products, and even home-grown applications. Attendees will be happy if the schedule is well-organized and contains lots of compelling content delivered by speakers who know their stuff. Given that new (“Wave 16”) versions of the Office servers are due toward the end of 2016 is helpful in this respect as people will be interested to find out what new features have been included in the servers and how they will coexist with existing technology. At this point in time it’s too early to know whether the new technology conference will be a solid replacement for the set of conferences that it has displaced. But I’m positive for now and will remain so unless the agenda is a mess and Microsoft takes too many short cuts. I don’t think they will, but I will be watching. This entry was posted in Technology, Training and tagged Chicago, May 2015, MEC, Microsoft Unified Technology Conference, TechEd. Bookmark the permalink. I hope we will see good deep dive Exchange Server sessions in this new conference as we saw in MEC? ?